PARKING STICKERS and DECALS – INSIDE WINDOW – Use a permanent adhesive and attach to inside of vehicle window. These decals and stickers are screen printed on rugged polyester material. 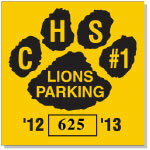 FREE STANDARD MASCOTS – With all parking permit types; parking stickers, parking decals or static cling decals. Use one of our standard mascots. Call or e-mail for additional standard mascot designs not shown; supply us with a mascot in vector art at no additional charge. We can customize a parking permit decal, sticker or static cling decal with your seal, logo or mascot for an additional $45. Call for additional colors and quantities. 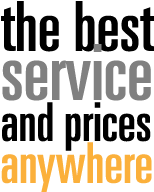 Window – Parking Permit Decal and Stickers Sizes (trim size 2 ½” X 3 ½” and 3″ x 3″ cut on a square) or call for additional sizes.